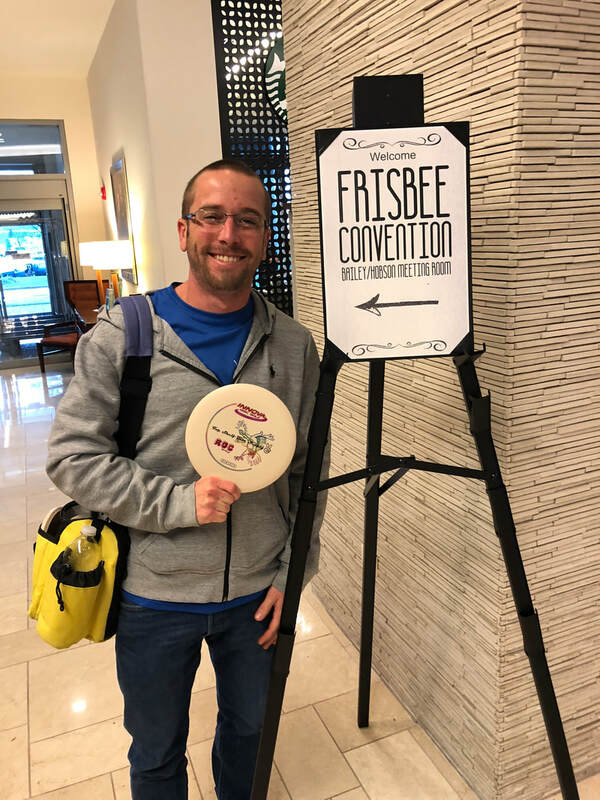 Tom Wehrli was the main man organizing the Frisbee convention. 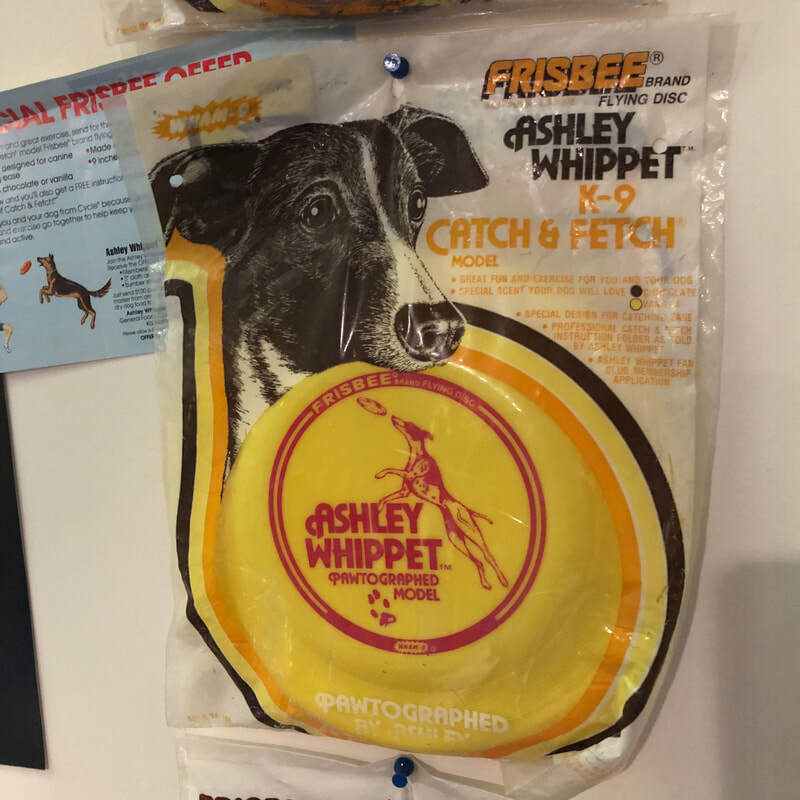 I started with a visit to the Ashley Whippet K-9 Frisbee museum. Had my boy Curtis with me! Massive Quilt leading down to the Ashley museum. Old photo of Tom, Jenny , Chris, Alex & Irv. 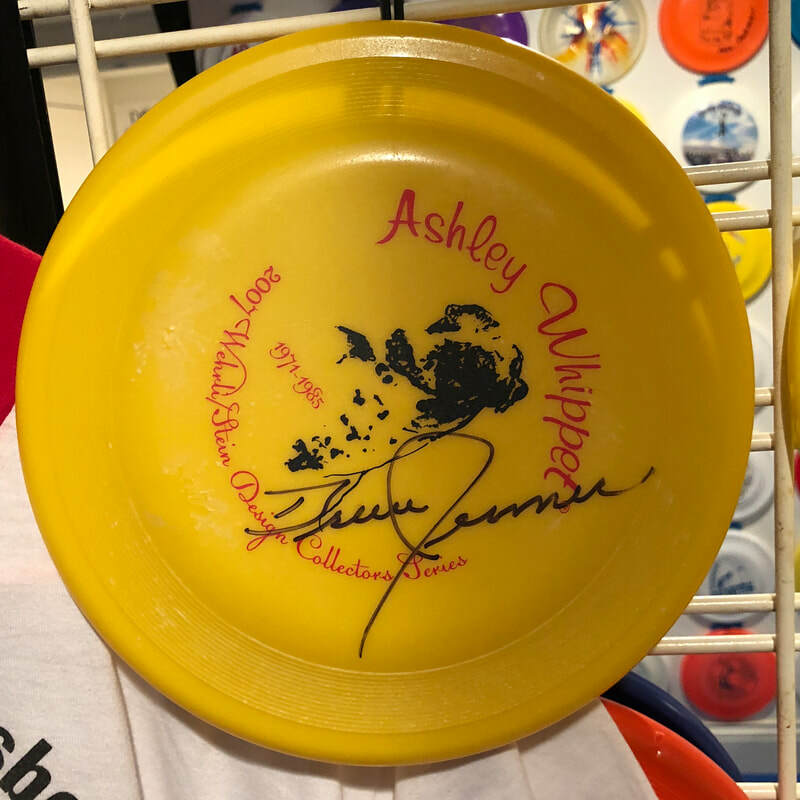 Bruce Jenner signature. 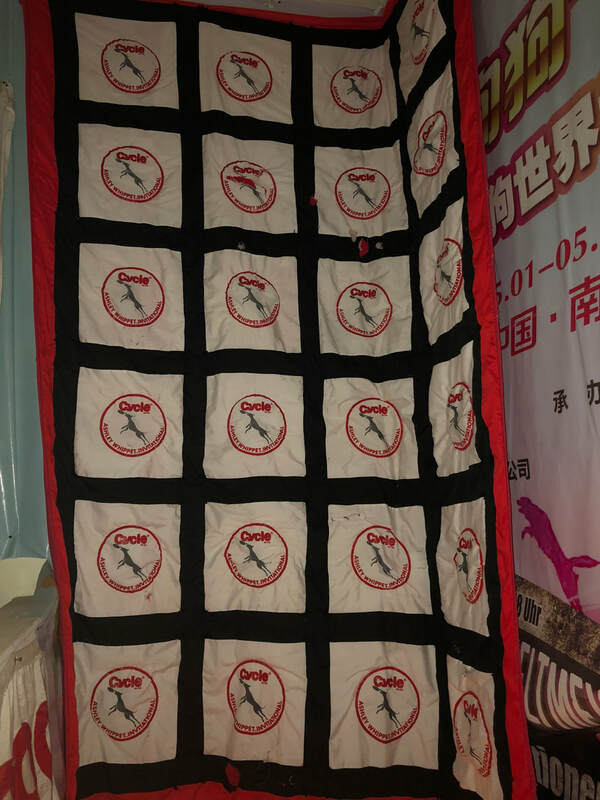 Ashely museum. 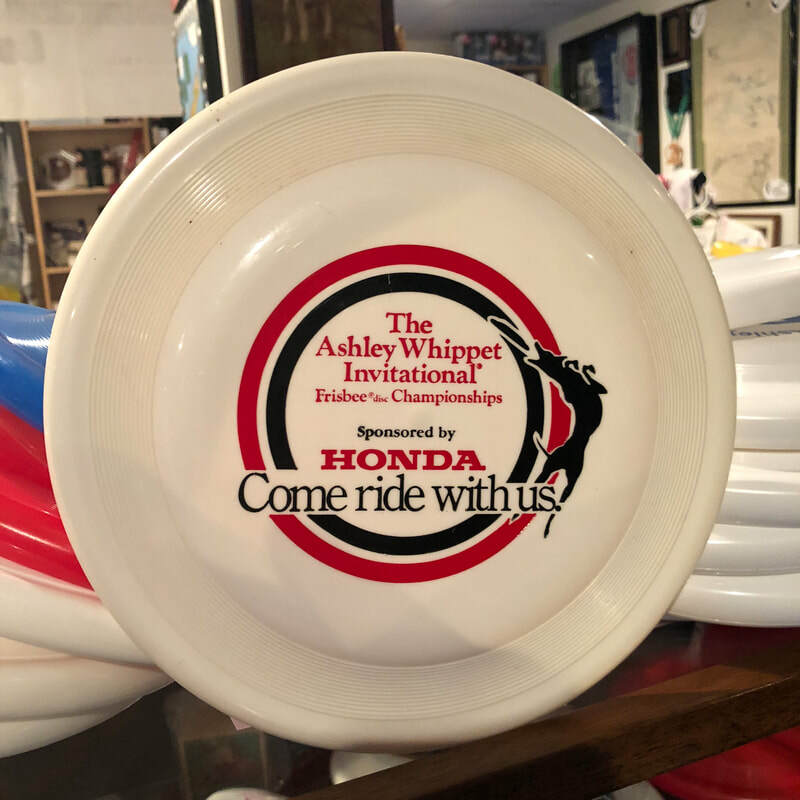 Player pack for the 87 invitational, Ashley museum. Folks in Japan loved these discs! They would rip them open to get to the disc, later there was a resealable bag so the package would not get destroyed but you could still handle the disc! I want one of these! 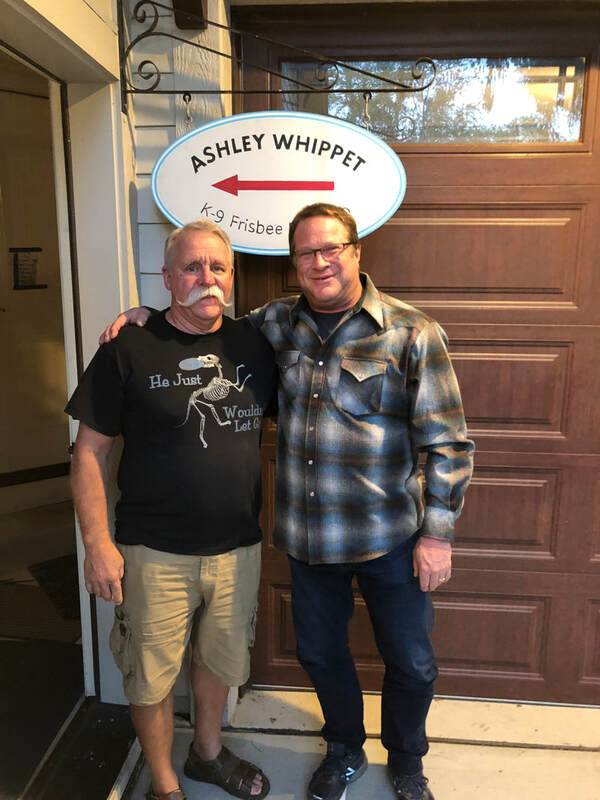 Ashley museum. 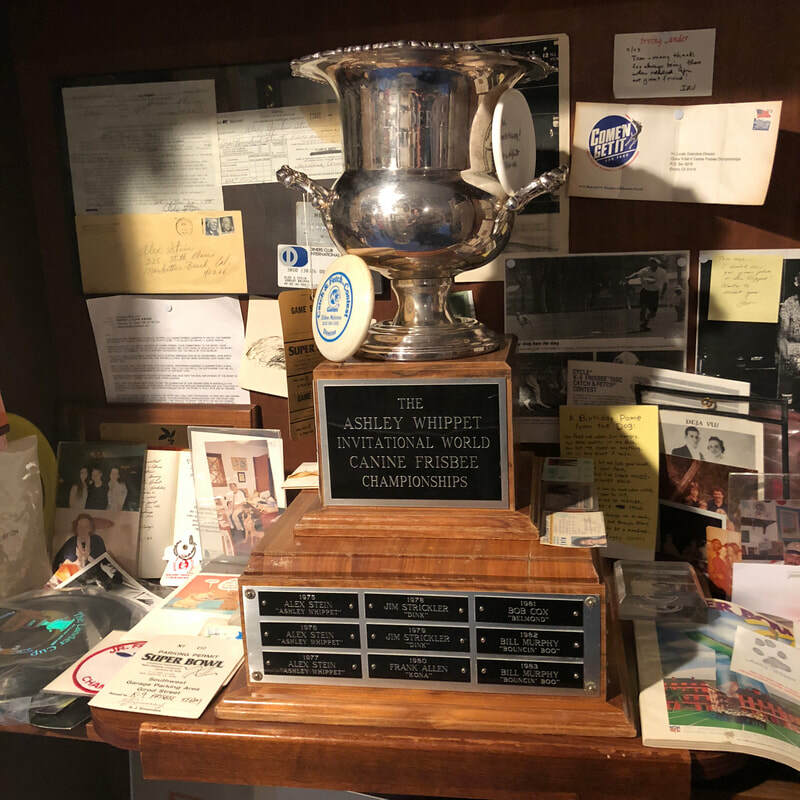 Just a portion of the Ashley Whippet museum. 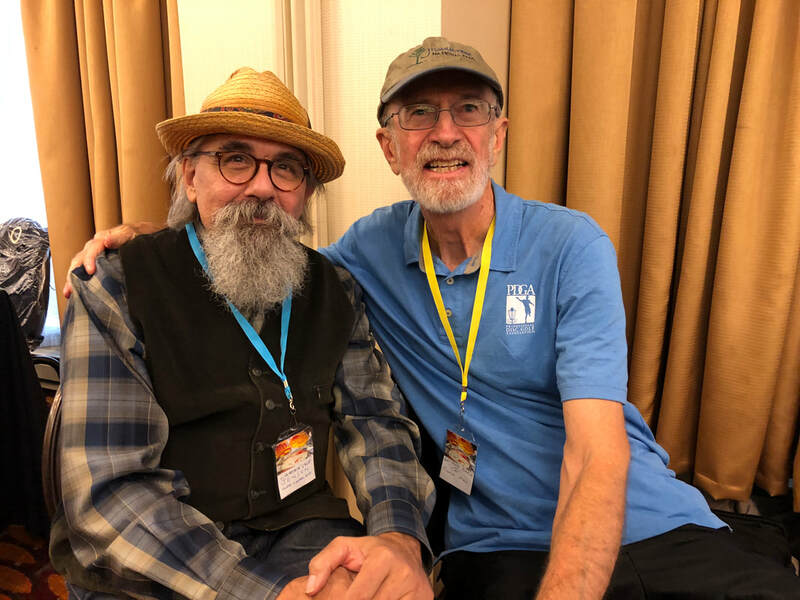 Let the convention begin! After a quick round of golf! 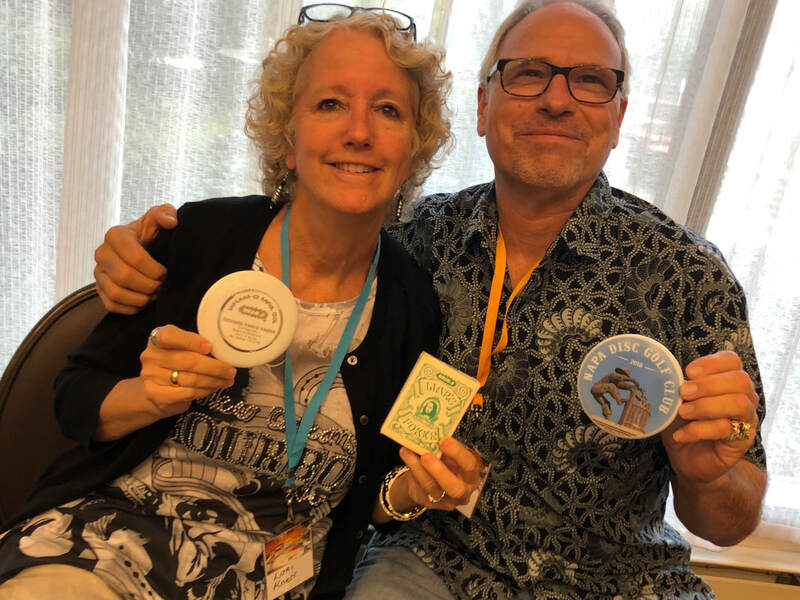 Lori Kneer & husband Rick Holiday. Lori's dad worked at Wham-o! 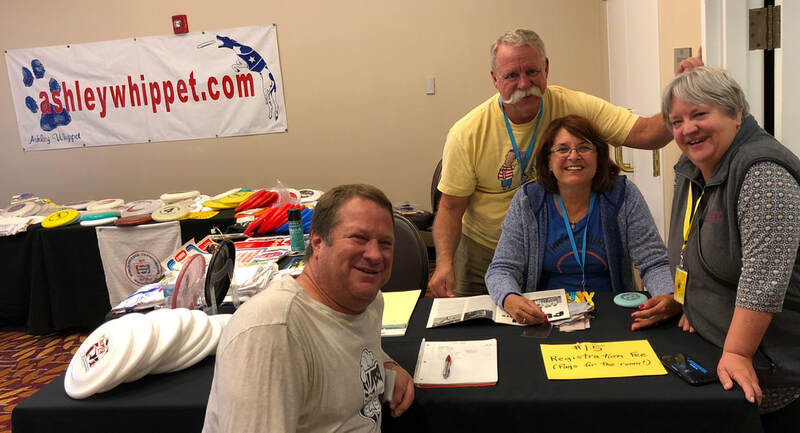 Me, Tom, Patti Hipsky Proto ( PDGA # 74 )& Sheryl Newland ( PDGA # 76 ). Patti does a tour of Japan in 1976, the did this photo for free! This was used as a slip sheet on all the models shown in Japan. 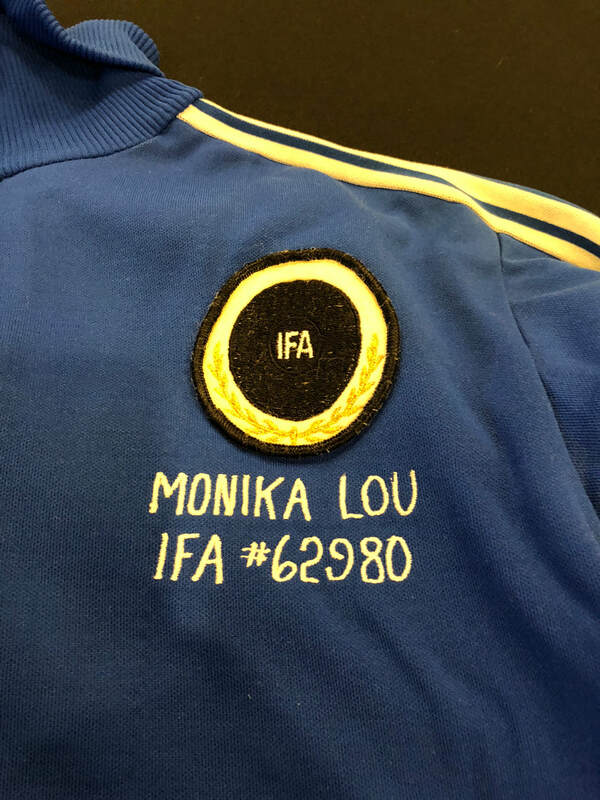 From the collection of Sheryl Newland, Monika Lou sweatsuit she wore on her Frisbee tour of Japan in 1975. 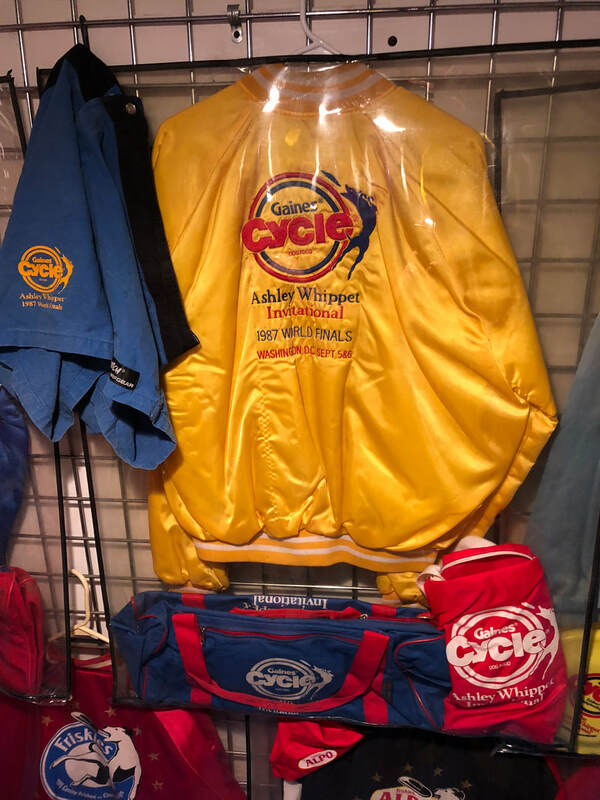 She did this tour with Victor M.
P Michael Miller & Janette Miller curators of the ' Flight Fantastic Frisbee Museum"
The Miller's mini, they have a store front museum in Virginia. Friday night party at Charlie Burke's, we were also celebrating Joe's retirement. Note the red ring! 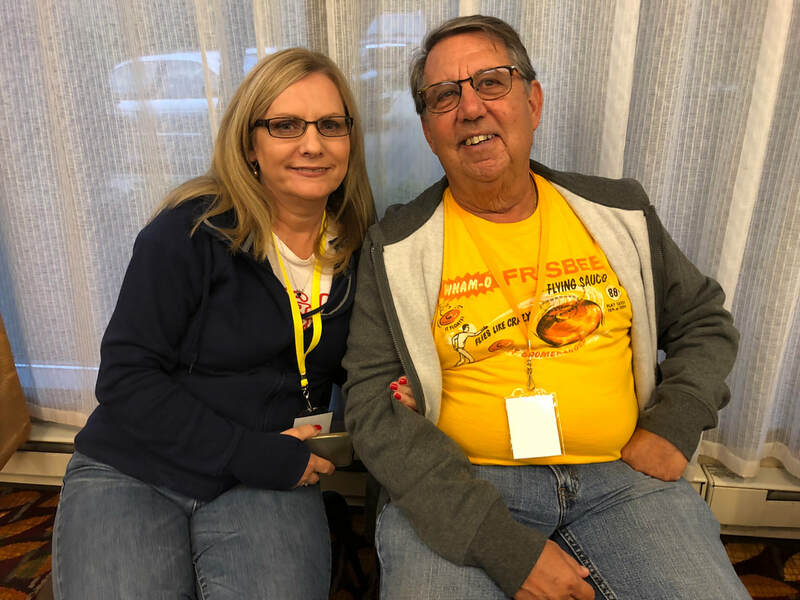 Kathy & Joe Essman, Joe knows Pros! Kathy can sing! Jose Montalvo & Steve Sewall at Charlie's. 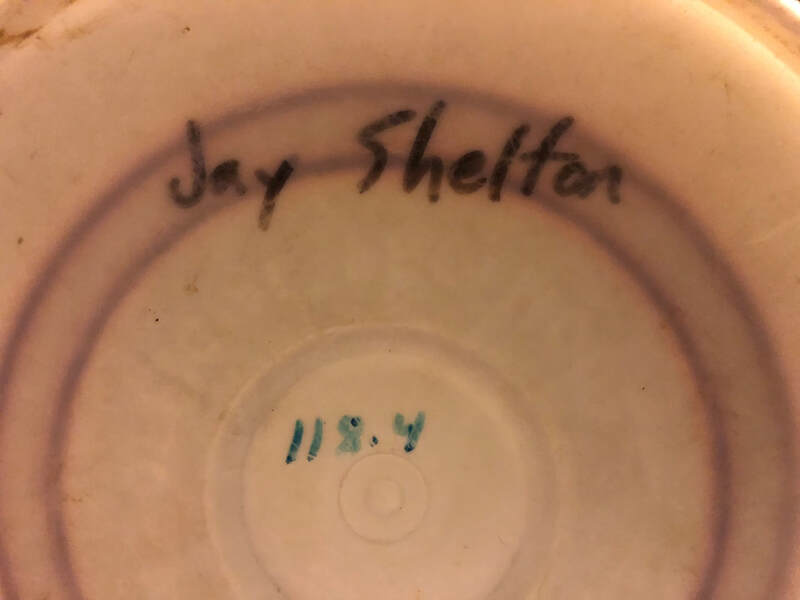 Steve brought a Pro with Jay Shelton's name on it. 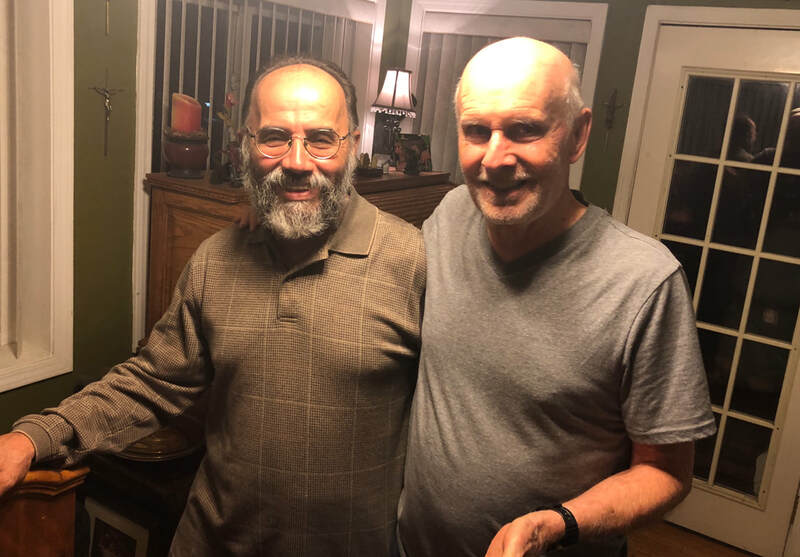 Steve Sewall & Jay Shelton were co Champions at the little known 1968 Rose Bowl event. 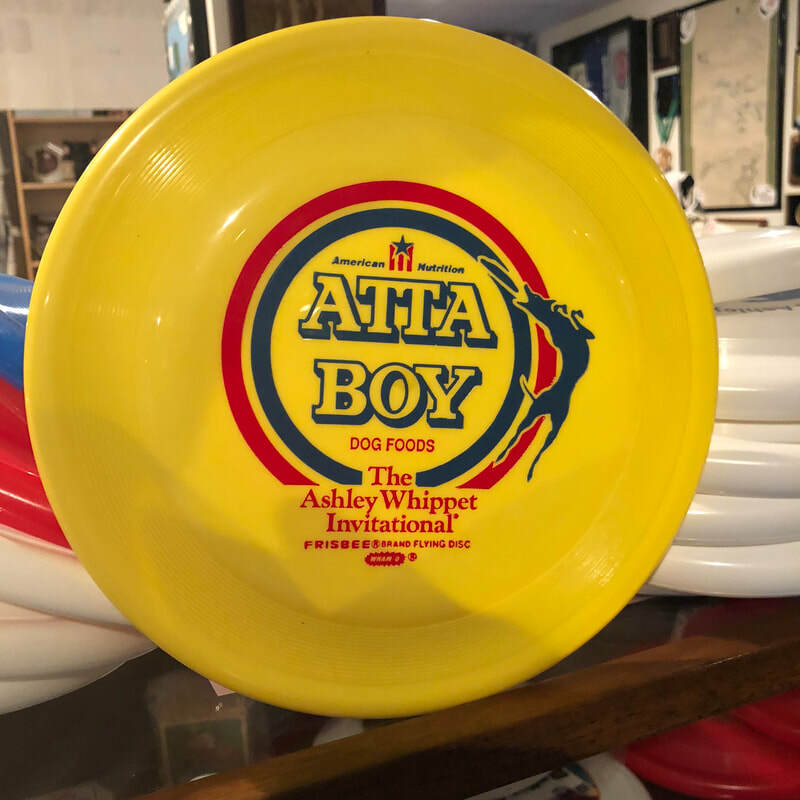 From the collection of Charlie Burke, ever made a putt on one of these? Saturday at the Convention, Sheryl Newland, Billie Sage Ashton & Marie Murphy Delrose. 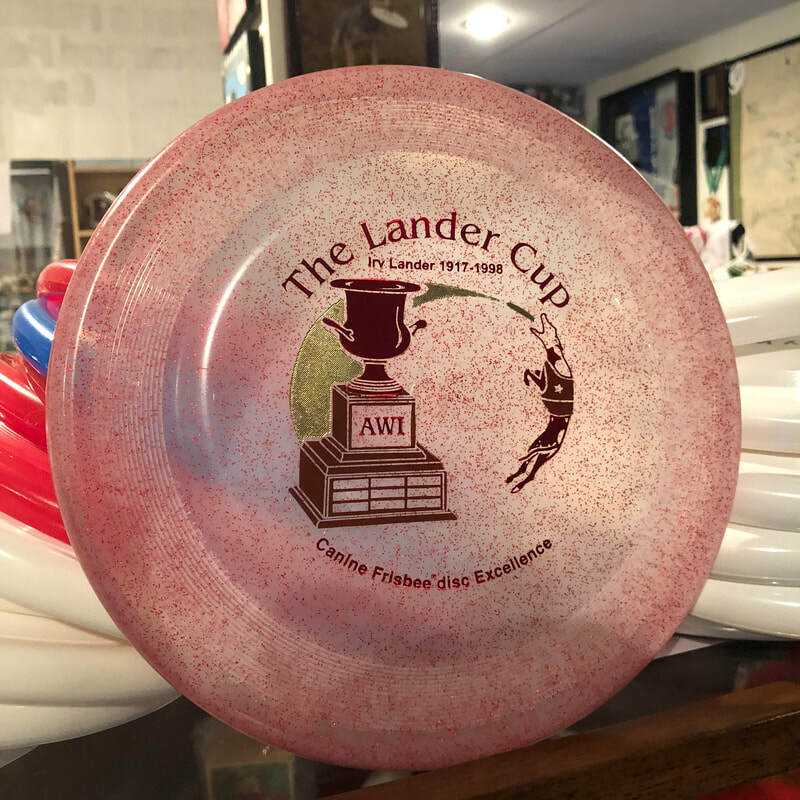 Lightnin Lyle PDGA # 102 & Stork PDGA # 003. Chris Wehrli with her dog disc sweater, Tom says everyday is Christmas on E Bay! 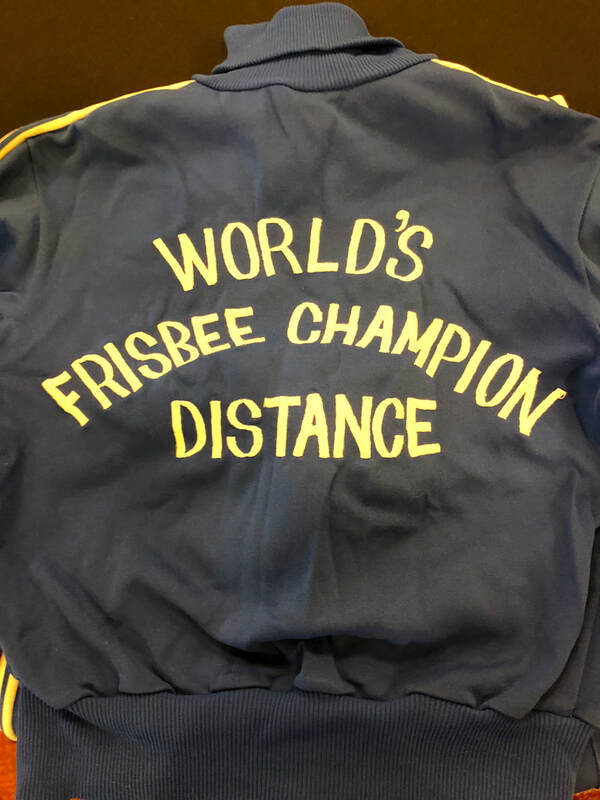 Bruce Koger 1975 World Frisbee Champion. From the collection of Marie Murphy Delrose, Marie on left Bruce Koger defending world champ & I need to figure out the lady on the right. 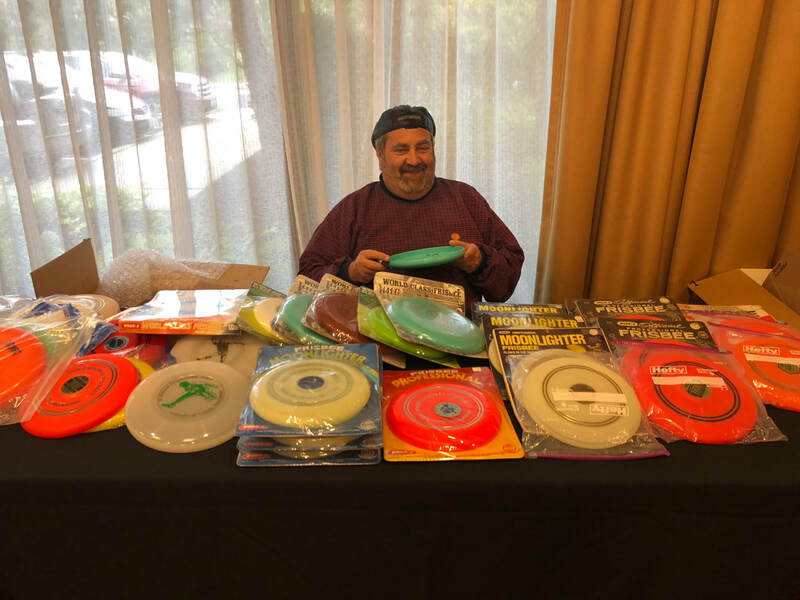 Overall Flying Disc legend Doug Korns. 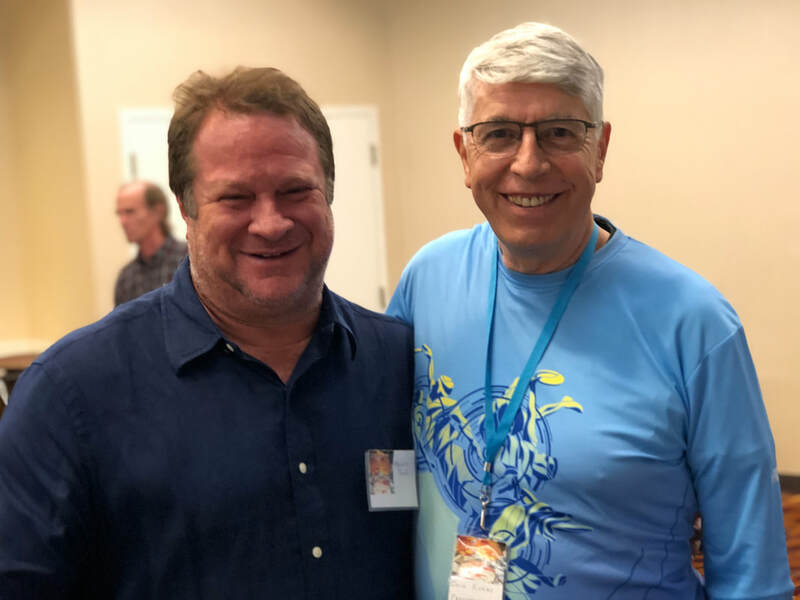 Over my right shoulder, Curtis Paul, Freddy, Billie Sage Ashton, Doug Korns, Rick Holiday, Lori Kneer, Chris Wehrli, Tom Wehrli, Harvey Brandt, Sheryl Newland, Father Lyle Jensen & Stork.